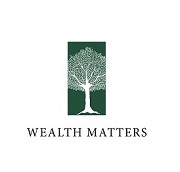 The Wealth Matters series of webcasts offer you the perfect opportunity to gain timely investment and wealth planning knowledge on a regular basis. Join us for the first quarter edition of the Wealth Matters Live webcast on Wednesday, February 15 at 3 p.m. AST. This session will provide an insightful discussion on taxation at death of certain accounts commonly held by Canadians, led by Noel Perera, Regional Vice President, Wealth Planning, Assante Private Client. Join Noel as he discusses various non-registered and registered investment accounts and the planning that can be done both before and after death related to each of them. Following the wealth planning discussion, Daniel Bubis, President and Chief Investment Officer, Tetrem Capital Management will provide a review of Tetrem’s structured investment process formulated to navigate changing markets. To participate via your Internet browser, click here. Following the live webcast, an instant replay can be accessed at the link above. Assante Private Client is a division of CI Private Counsel LP. Assante Wealth Management and CI Private Counsel LP are wholly owned subsidiaries of CI Financial Corp. (TSX:CIX). If you invest in CI products, CI will, through its ownership of subsidiaries, earn ongoing asset management fees in accordance with applicable prospectus or other offering documents.